Wow...just a few short days away! My 1st c-section wasn't bad at all...you'll do fabulous. Good luck and enjoy every single moment! Omg, so cute. 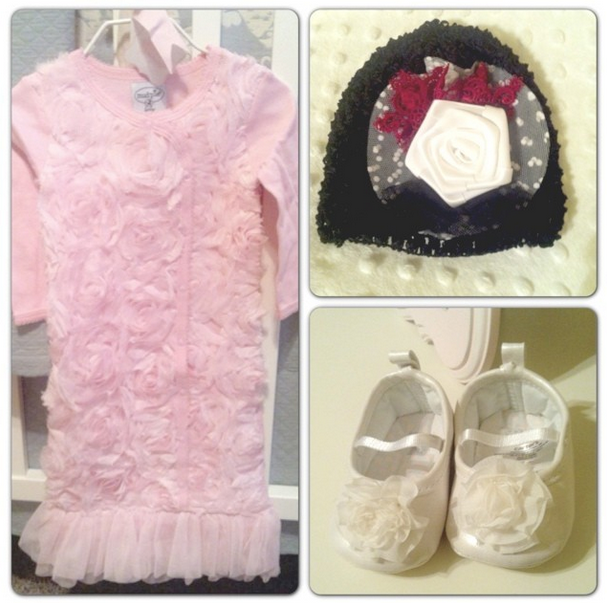 I kind of wish my sister was having a girl, it's easier to find cute stuff for girls. Sending you lots of prayers. Leslie- I have been following your blog for about a year and find you so inspiring! Best of luck welcoming your bundle of love- enjoy every single moment!! Leslie, I am over the moon excited for you all! One tip I wanted to pass along that someone passed on to me..... Take a very luxurious lotion or something with a subtle but fabulous scent to use while you are in the hospital, and every time you smell that fragrance for the next umpteen years.....it will take you back to that most special day! Cannot wait to see your princess! Praying that everything goes smoothly for you and recovery is a breeze! Best wishes! Good luck! My twins were born 10.14 last year, it's a great birthday if I do say so :) Good luck with the C-section, I hope the surgery and recovery are seamless. Yay baby girl! 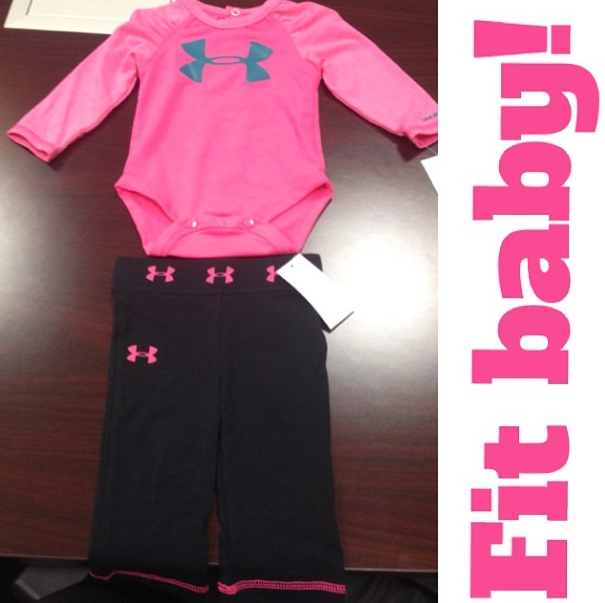 I can't wait to see how this baby is going to rock your world for the better! You are going to be a great mama! I read your blog every day and just want to say Congrats and good luck with the pending arrival of your precious baby girl. We are as excited to meet her as you are... congrats again, good luck and thoughts and prayers are with you. 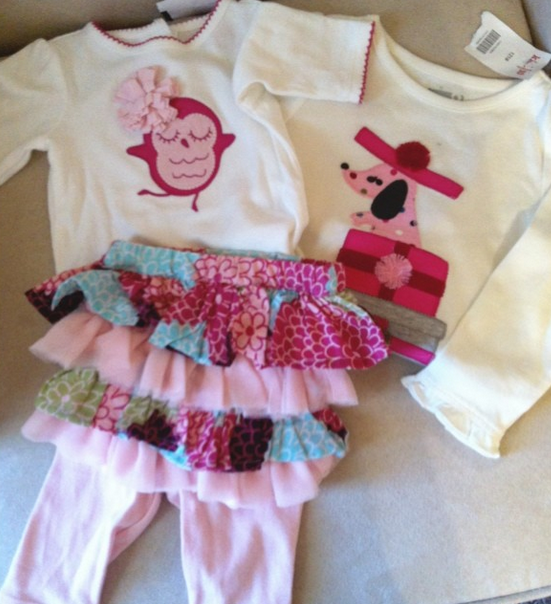 Loving all the presh girl clothes and cannot wait to meet sweet Caroline! :) Thinking about you and praying for you over these last couple of days, Mama! You will do great!!! Weeeeeeeeeeeee so exciting! can't wait to meet your beautiful bundle of joy! Good luck and prayers and love your way! I vote she comes sooner so I can come snuggle her this weekend!!!!! :) I cannot wait to meet her! I'm so excited to meet this BLESSING. What an exciting time for you - the days before baby were some of the most exciting for us, the anticipation is amazing! Best wishes to you and your little family!! I am so excited for you! I can't wait to "meet" your sweet baby girl. Squishy newborns are the best. I know I have commented a few times before and I think I warned you about the post C-section swelling that a lot of people experience. It was horrible with my first but so much better with my second since I did a few things to help prevent it. I really recommend limiting your salt intake this week and drinking a ton of water. Also, start drinking fluids as soon as they let you after the surgery and make sure to keep it up throughout your recovery. I had close to two gallons of water and juice in the first 24 hours after my RCS. Also, make sure to elevate your feet as much as possible. I had my bed adjusted so my feet were higher than my head every time I was sleeping. It made a HUGE difference. I could barely walk thanks to the swelling the first time and there was hardly any swelling at all the second. Best of luck to you! 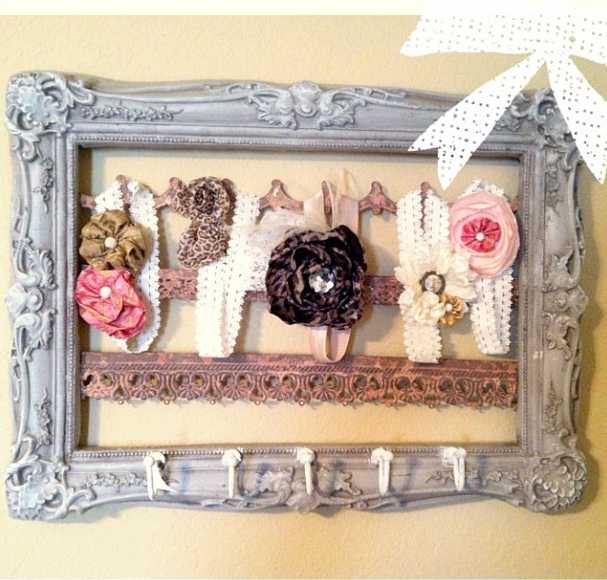 I love those headbands and holder! Too cute!